PORT OF SPAIN, Trinidad, Jan 30, CMC – The Trinidad and Tobago Police Service (TTPS) Wednesday confirmed that it is investigating the kidnapping of six fishermen allegedly by Venezuelan nationals but said it would not comment on whether or not a US$200,000 ransom had been demanded. 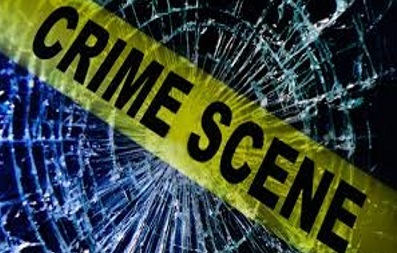 Police Commissioner, Gary Griffith, speaking on a radio programme here, said that the situation has been complicated by the fact that the Trinidad and Tobago nationals are believed to be held in the South American country. 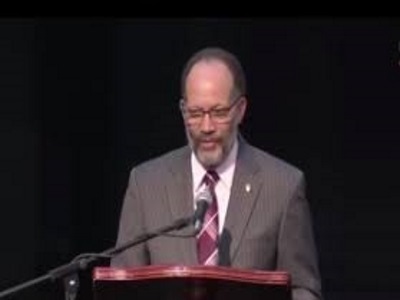 “We at the Trinidad and Tobago Police Service are doing all that is required. It is a very difficult situation. Initially reports are that they (those kidnapped) were actually outside of our waters when it is they were actually held by these individuals. “It does not take away the fact that these are citizens of Trinidad and Tobago and there is a concern. 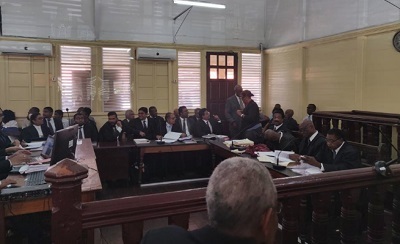 It puts us in a very difficult position to do much more than we are doing because of the situation where they are not in Trinidad and Tobago waters., Griffith said, adding “I am not saying our hands are tied, there’s a lot that we are doing from our end. “Hopefully there will be something positive by the end of this,” he added. Media reports here said that the kidnappers have given the relatives until Friday to pay the ransom or face the prospect of the hands of those detained being chopped off. A photograph of the six men, identified as Jude Jaikaran,16; brothers Jason, 38, and Jerry O’Brian, 36; Ricky Rambharose, 35; Brandon Arjoon, 29; and Linton Manohar, 36, has been circulating on social media showing them sitting on the floor while being surrounded by men pointing machine-guns at them. The photo was sent to relatives on Monday. In an audio clip that is also being circulated on social media, the families are warned that the kidnappers intend to make good on their demands. Griffith was asked to confirm whether a ransom had been demanded. I am sorry but I will not be able to make any revelations pertaining to this while the investigations are still ongoing,” he told radio listeners. The longest ever shutdown of the U.S. government is over. President Trump tonight signed the continuing resolution that provides funding until Feb. 15. 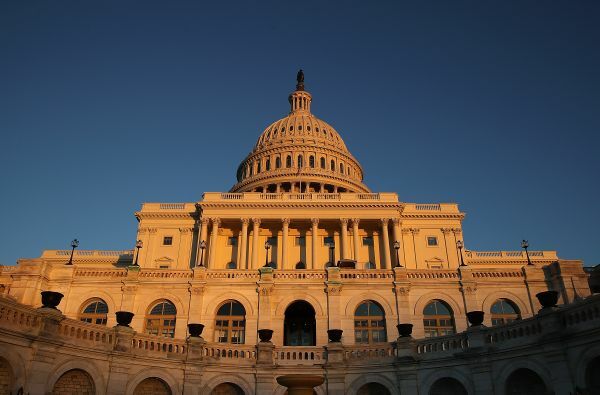 Both the Senate and the House approved a measure to temporarily reopen the federal government. The plan — which President Trump announced earlier today — will fund the government through Feb. 15. What happens now: The measure is heading to Trump’s desk for his signature. Once it is signed, it will put an end to the longest government shutdown in US history. President Trump tonight is trying to push back on the way today’s agreement to reopen the government is being portrayed. 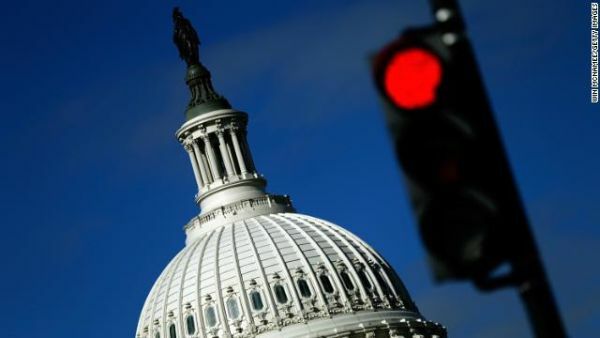 The House of Representatives just passed a continuing resolution to fund the government until Feb. 15. 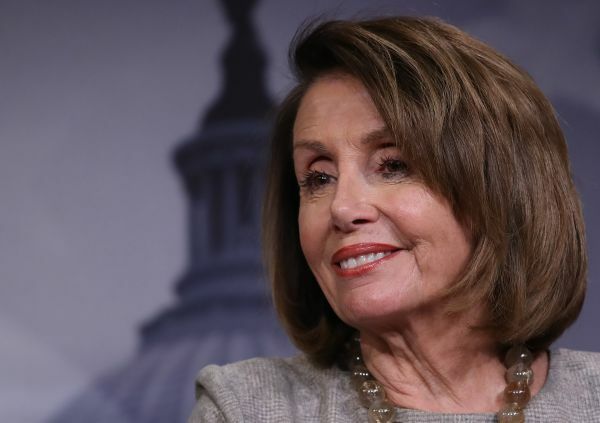 Over the past few days, House Speaker Nancy Pelosi has been in “constant contact” with Senate Democratic leader Chuck Schumer as he had discussions with Senate majority leader Mitch McConnell on a path forward, according to a senior Democratic aide. The two regularly consulted as those discussions proceeded. The first call came after a contentious Senate GOP lunch where Republican senators vented frustration at Vice President Mike Pence about the lack of strategy to get out of the shutdown. McConnell told Trump that it was unclear how much longer he could get GOP senators to hold the line — especially if there were another round of votes to end the shutdown. 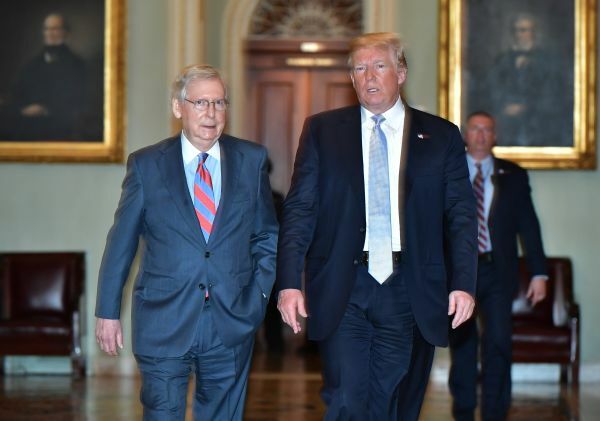 A few hours later, Trump called McConnell back with a new perspective: Trump made clear he wanted the shutdown to end, which led to the deal that was approved by Congress Friday. What’s unclear, according to the source, is what exactly got Trump to change his mind in the intervening hours between their two phone calls. ST. JOHN’S, Antigua, Jan 18, CMC – Prime Minister Gaston Browne has presented an EC$1.2 billion (One EC dollar=US$0.37 cents) budget to Parliament outlining new taxes and warning tax dodgers that his administration that it would not be business as usual. Browne told legislators that recurrent expenditure is estimated at just over one billion dollars, comprising EC$914.9 million in recurrent spending and capital spending of EC$130 million, while recurrent revenue has been pegged at $966.2 million including EC$34 million in grants. Browne said that in order to satisfy this requirement, his administration will raise EC$274.8 million from securities issued on the Regional Government Securities Market, and access loans and advances of EC$174.1 million”. In his address, Browne also indicated that the taxes on sugary beverages would be implemented this year given the fact that too many people were being affected by non-communicable diseases (NCD). “Our government will be introducing a tax on sugar sweetened beverages and we are doing to so to protect the health of the people of this country,” he said, telling legislators that detractors would regard the measure ‘as a revenue raining initiative, when indeed what we are seeking to do here is to reduce the demand to protect our people. “We cannot build an economic powerhouse with unhealthy people,” he said. Browne said last year, tax waivers amounted to an estimated EC$330 million; a significant proportion of which was granted to existing and profitable businesses. He said this EC$330 million mainly represents waivers of customs duties, ABST, Revenue Recovery Charge, Corporation Tax, Unincorporated Business Tax, and Stamp Duties. “To secure fiscal balance and stability going forward, these levels of concessions cannot continue. Taxes incurred must be paid and collected so that government can continue to provide the services and benefits everyone expects. “Reducing total tax exemptions and strengthening tax administration will be the cornerstone of the Government’s fiscal strategy into the medium term. With the revocation of the corporate income tax waivers, a new corporate income tax credit regime will be introduced. Prime Minister Browne also warned tax dodgers that his administration would be moving to acquire all funds owed to the state despite the island’s constant economic growth over the past four years. “Improving revenues to meet our development objectives requires effort by everyone. So, everyone, individuals and companies, must pay our education levy, social security, medical benefits, import duties, RRC, ABST, and corporate income taxes,” he said, warning that any person or company, “who reneges on these payments, evades paying them, or uses corrupt means to deprive the Treasury of revenue, is hurting every other person and company in our nation. “They should be warned now that our government will not allow this behaviour to continue; it is not fair; it is not just; and it is not acceptable. Our government, as the wardens of the interests of all the people, will clamp down on the excesses of the few,” Prime Minister Browne said. “In the first quarter of this year, the EDP will be launched with an initial EC$10 million provided by the government. The ultimate aim is a revolving fund endowed with EC$24 million to provide low-interest loans for working capital, machinery, and equipment, leasehold improvements, among other things.” Prime Minister Browne said Global Ports is committed to providing $13.5 million to fund entrepreneurship in the tourism sector as part of their involvement in the country’s economic activity. 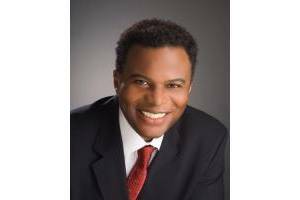 Browne told legislators that in 2018, Antigua and Barbuda’s economy was the fastest growing in the entire Caribbean Community (CARICOM) region, recording growth of 5.3 per cent. “In the period, 2014 to 2018, the average growth of our nation’s economy was a remarkable 4.5 per cent annually. This country was recovered from the disaster of five previous years of decline, retrogression, and regression and placed on a firm, solid and steady climb to progress,” Browne said. In his address on Thursday, Browne praised several countries and institutions, which he said had invested in the country’s development through technical assistance, grants and loans. He said that Venezuela had written off 50 per cent the debt owed to PDVSA for fuel imported under the Petro Caribe Initiative, amounting to EC$250 million. “That is a significant gift to our people, Mr. Speaker, and one that we should acknowledge with great and resounding appreciation. The people of Antigua and Barbuda will remember the assistance of Venezuela and its people well into the future,” he said. Browne said that Antigua and Barbuda will continue to urge a resolution of the internal differences in Venezuela, and pledge support for whatever his government might be able to do, to set the South American firmly on its feet, in service to all its people. Browne also praised Cuba for its contribution noting that despite the continued imposition of the inhumane embargo by the United States, continue to provide educational, medical and technical assistance to countless countries in the region and around the globe. He also took time to thank China, telling legislators that last year “no other country or institution has contributed more to our development pursuits than the People’s Republic of China. “China has committed over EC$400 million in grants and concessional loans to fund the development of the St. John’s Port, the Knuckle Block Project, the proposed housing development, two polyclinics, and non-lethal military equipment and supplies. They have also provided technical assistance in many areas, including healthcare, education and agriculture. “The relationship between the People’s Republic of China and Antigua and Barbuda, demonstrates that, in international relations, countries are well-served by mutual respect and cooperation,” Prime Minister Brown said. Debate on the budget begins on January 28. 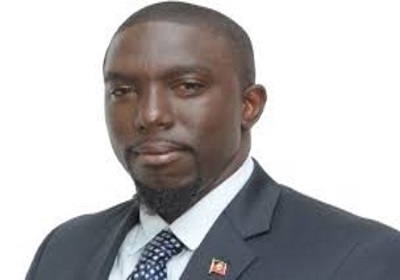 Meanwhile, Opposition Leader, Jamale Pringle, having absented himself for the presentation, described as “disappointing” the EC$1.2 billion (One EC dollar=US$0.37 cents) budget presented to Parliament by Prime Minister Gaston Browne. “Within 2019 we still hearing a budget what we heard in 2014 as in basically the same way in which the government proposed in 2014 to raise revenue for the country via the certain projects which we have seen still in a standstill mode. 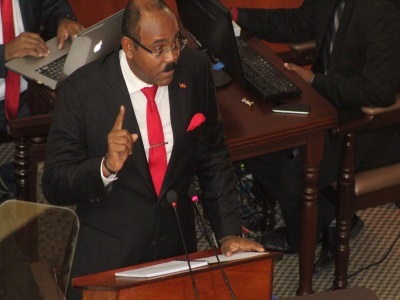 Pringle said had he stayed home on Thursday when the budget was being presented by Prime Minister Browne, I would have just informed people to “just read the 2014, 2015, 2016, 2017 and 2018” packages. He said the government had prior to the last general election in March last year, had sought to fool the population by starting some projects, including one in his constituency. Commentary: Exit Brexit … stage right? I am on record dismissing Brexit as just a sham sold by shysters, full of lies and presumptions signifying no deal. I refer you to such commentaries as “EU: Britain Trying to Have Cake and Eat It Too,” January 29, 2013, “Brexit: Forget Leaving, Britain a Greater EU Contagion If It Remains,” June 22, 2016, and “On Brexit Plan, EU to UK, No Way! September 24, 2018. More to the point, I warned that Prime Minister Theresa May’s plan to execute Brexit was a non-starter — not only in the EU but even in the UK. Here is the foreshadowing I offered in “Brexit: Having Cake and Eating It Too,” July 24, 2018. Her [Chequers] White Paper is just a formal version of the idea May floated earlier this year for a ‘managed divergence’ from EU rules. But it should have been instructive that, according to the March 8 edition of The Economist, the EU dismissed it back then as cherry-picking that would undermine the single market. I’ve been decrying Britain’s ill-fated efforts to negotiate one-foot-in/one-foot-out deals with the EU for years. Therefore, I see no point in delving too deep into Brexit’s murky waters here. It should suffice to know that at least half of the Britons who voted for Brexit can’t even name the EU’s four ‘indivisible’ freedoms, namely the free movement of goods, capital, services, and people. This, despite the fact that Britain’s attempt to divvy up these freedoms (e.g., by cherry picking to allow goods but restrict people) has been the most animating feature of the Brexit debate. Britain is fated to end up an island unto itself Cake and marooned in the global sea by the foolish, ignorant pride Brexit reflects. Even worse, as Obama famously warned (and Trump hinted), it will find itself at the back of the line of weak and relatively poor countries trying to strike trade deals with the world’s biggest trading blocs, including the American-led NAFTA, the Chinese-led ACFTA, and yes, ironically enough, the German-led EU. Prime Minister Theresa May’s Brexit deal has been rejected by 230 votes — the largest defeat for a sitting government in history. May is now a dead PM walking. The only question is whether a vote to end Brexit (viz. another referendum) passes before a vote to end her career (viz. another leadership challenge or general election). Mind you, the only honorable thing to do after such a humiliating defeat is to resign. No doubt every previous prime minister would have done just that. Exhibit A is David Cameron, her predecessor who resigned after triggering this Brexit mess with his ill-fated referendum in June 2016. Therefore, it speaks volumes about how far Brexit-crazed Britain has lost its way that resigning seems to have not even occurred to May. Remarkably, even the members of her own Conservative party — who voted for her historic humiliation — seem perfectly happy to sit and watch her wither away … stage right. Theresa May has survived as prime minister after weathering a dramatic no-confidence vote in her government, but was left scrambling to strike a Brexit compromise that could secure the backing of parliament. In a statement in Downing Street on Wednesday night, the prime minister exhorted politicians from all parties to “put aside self-interest”, and promised to consult with MPs with “the widest possible range of views” in the coming days. She had earlier announced that she would invite Jeremy Corbyn and other party leaders for immediate talks on how to secure a Brexit deal, although Labour later said Corbyn would decline the invitation unless no-deal was taken off the table. A day after overwhelmingly rejecting her Brexit deal, rebel Conservatives and Democratic Unionist party (DUP) MPs swung behind the prime minister to defeat Labour’s motion of no confidence by 325 votes to 306 – a majority of 19. The prime minister immediately extended her invitation to opposition leaders, having pointedly declined to do so earlier in the day. “I would like to ask the leaders of the parliamentary parties to meet with me individually, and I would like to start those meetings tonight,” she said. Corbyn responded by urging May to rule out no-deal. The Scottish National party’s leader in Westminster, Ian Blackford, met May on Wednesday night, and the Liberal Democrat leader, Vince Cable, also accepted her invitation. Blackford later wrote to May, urging her to make a “gesture of faith” to show that she was serious. He said that the SNP would take part in cross-party talks if she was able to confirm “that the extension of article 50, a ruling out of a no-deal Brexit and the option of a second EU referendum would form the basis of those discussions”. Conservative politicians are deeply divided about how May should adapt her deal to win over hostile MPs. The South Cambridgeshire Tory MP, Heidi Allen, said: “I thought she was incredibly brave [after the Brexit defeat] and it felt like she got that we need to change. But today it was: ‘I’ll talk to people, but my red lines are still there.’ And that’s not going to work at all. Some cabinet ministers clearly indicated the need for flexibility, with the justice secretary, David Gauke, warning that the government should not allow itself to be “boxed in”, and Amber Rudd suggesting a customs union could not be ruled out. Labour has not ruled out tabling further no confidence votes in the days ahead, in the hope of peeling off exasperated Tory rebels and triggering a general election. But on Wednesday night other opposition parties sent a letter to Corbyn, which said they expected him to honour his promise to back a public vote if Labour failed to get an election. A Lib Dem source suggested they may not back future no confidence votes if they felt it was a way to evade the issue. “We will support any real opportunity to take down the Tories with relish. We will not be party to Corbyn using spurious means to avoid Labour policy, by pursuing unwinnable no confidence votes,” the source said. The DUP was quick to stress that without their 10 MPs, the government would have lost the confidence vote, and called on May to focus on tackling their concerns with the Irish backstop. “Lessons will need to be learned from the vote in parliament. The issue of the backstop needs to be dealt with and we will continue to work to that end,” said Nigel Dodds, the DUP leader at Westminster. May’s spokesman said a no-deal Brexit could not be ruled out. However, the Daily Telegraph claimed to have got hold of a recording of Philip Hammond speaking to business leaders on Tuesday night in which the chancellor said the threat of a no-deal could be taken “off the table” within days. After meeting party leaders, May is expected to extend the invitation to opposition backbenchers over the coming days, as well Tory Eurosceptics. Civil servants and political staff are likely to attend the meetings, and ministers can direct civil servants to draw up more concrete plans where necessary, but the talks will not have the same formal status as coalition negotiations. Wednesday’s vote followed an ill-tempered debate in which Corbyn accused May of presiding over a “zombie government”. Labour’s deputy leader, Tom Watson, wound up the debate for his party by saying May would for ever be known as “the nothing-has-changed prime minister”. The environment secretary, Michael Gove, responded with a robust speech widely regarded at Westminster as a leadership pitch, praising May’s “inspirational leadership” and attacking Corbyn on issues from antisemitism to foreign policy. “If he cannot protect the proud traditions of the Labour party, how can he possibly protect his country?” he asked. One former Labour MP, John Woodcock, who resigned from the party after being investigated over sexual harassment claims, abstained from the vote, saying Corbyn was “unfit to lead the country”. Had the motion passed, MPs would have had 14 days for an alternative government to emerge that could command a majority in the Commons, or a general election would have been triggered. Corbyn is now likely to come under pressure from party activists to move towards supporting a second referendum. A group of more than 70 Labour MPs announced on Wednesday morning that they were backing the call for a “people’s vote”. Labour’s formal position, adopted at its conference in Liverpool last year, commits the party to press for a general election. Failing that, all options are on the table, including that of campaigning for a second referendum. 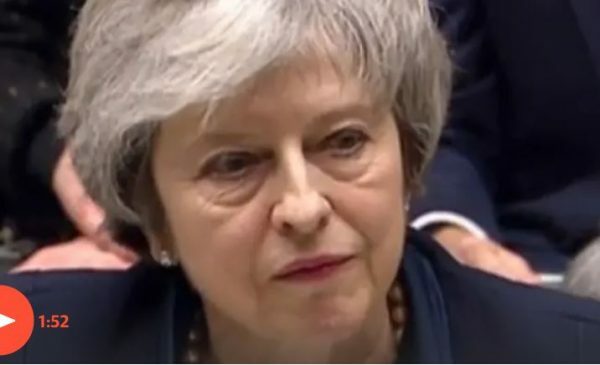 Theresa May has pledged to face down a vote of no confidence in her government, after her Brexit deal was shot down by MPs in the heaviest parliamentary defeat of the democratic era. On a day of extraordinary drama at Westminster, the House of Commons delivered a devastating verdict on the prime minister’s deal, voting against it by 432 to 202. The scale of defeat, by a majority of 230, was greater than any seen in the past century, and saw ardent Brexiters such as Jacob Rees-Mogg and Boris Johnson walked through a packed division lobby cheek-by-jowl with passionate remainers. As noisy protesters from both sides of the Brexit divide massed outside in Parliament Square, the prime minister immediately rose to accept the verdict of MPs – and say she would welcome a vote of no confidence in the government. In a raucous Commons, the Labour leader, Jeremy Corbyn, confirmed he had tabled a formal motion of confidence in the government, backed by other opposition leaders, which MPs will vote on on Wednesday. The Brexit-backing European Research Group (ERG) and the Democratic Unionist party (DUP) later announced that they would support the prime minister, making it unlikely Labour can succeed in triggering a general election. May said that if she survived the vote on Wednesday, she would hold meetings with senior parliamentarians from all parties to “identify what would be required to secure the backing of the house”. The prime minister’s spokesman later said May would be contacting Conservative and DUP MPs among others , but declined to say whether or not she would meet with Corbyn or SNP leader Ian Blackford. He cited the example of May’s meetings with Labour MPs such as Caroline Flint and Gareth Snell about an amendment on workers’ rights, although both of those MPs eventually voted against the government. “We will approach it in a constructive spirit,” the spokesman said. May has no plans to head to Brussels immediately, No 10 said, implying that the prime minister first needed to test what would be acceptable to MPs. Downing Street said May would approach the talks wanting to find a solution to deliver a Brexit deal that would honour the result of the referendum – suggesting that she would not countenance talks with those pushing for a second referendum, or even a full customs union, which Labour has backed. She will then make a statement on Monday, setting out how she intends to proceed. MPs will get the chance to amend the statement, and are likely to take the opportunity to try to demonstrate support for their own favoured alternatives – including a Norway-style soft Brexit, and a second referendum. Several cabinet ministers, including Amber Rudd, Philip Hammond and Greg Clark, had pressed the prime minister at Tuesday’s cabinet meeting to pursue a cross-party solution if her deal was defeated. But Brexit-backing ministers, including Andrea Leadsom and Penny Mordaunt, urged her instead to seek revisions to the Irish backstop – and failing that, to pursue a so-called “managed no deal”. The former foreign secretary Boris Johnson said the crushing defeat gave the prime minister a “massive mandate” to return to Brussels and seek a better deal. “We should not only be keeping the good bits of the deal, getting rid of the backstop, but we should also be actively preparing for no-deal with ever more enthusiasm,” he said. On Tuesday night Johnson was joined by other prominent Brexiter MPs including John Redwood and Bill Cash at a champagne celebration party at Rees-Mogg’s house. Hammond moved quickly after the vote to quell business anger over the failure of May to get her deal ratified. The chancellor expressed his “disappointment” at the result in a conference call at 9pm with main business groups, including the CBI and the British Chambers of Commerce, as well as dozens of chief executives. One source on the call said it was constructive and that Hammond’s tone was “realistic” about the damage prolonged uncertainty around Brexit was inflicting on the economy. However, Hammond was hammered by business leaders over parliament’s refusal to take a no-deal off the table. “This was the single biggest question he was asked,” said the source. May said any plan that emerges from the talks would have to be “negotiable” with the EU27. She earlier rejected an amendment from Tory backbencher Edward Leigh calling for the Irish backstop to be temporary, saying it was not compatible with the UK’s legal obligations. In Brussels, Donald Tusk, the European council president, appeared to back a second referendum soon after the crushing result for the prime minister was announced, and urged the prime minister to offer a way forward. The prime minister was expected to return to Brussels within days to consult with Tusk and the European commission president, Jean-Claude Juncker. Officials said the EU was now in listening mode. In a statement, Juncker urged the British government to “clarify its intentions as soon as possible”, and warned that “time is almost up”. “I take note with regret the outcome of the vote in the House of Commonsthis evening”, he said. “On the EU side, the process of ratification of the withdrawal agreement continues”. In a defence of Brussels’ role in the negotiations, Juncker said that the EU and the bloc’s chief negotiator, Michel Barnier, had shown “creativity and flexibility throughout” and “demonstrated goodwill again by offering additional clarifications and reassurances” in recent days. In Westminster earlier, knowing that she faced a heavy defeat, May made a heartfelt plea to MPs to support her, calling it “the most significant vote that any of us will ever be part of in our political careers”. “Together we can show the people we serve that their voices have been heard, that their trust was not misplaced,” she said. Earlier in the day, as one Conservative backbencher after another stood up to attack her painstakingly negotiated withdrawal agreement in the House of Commons, it became clear that few had changed their mind. May herself embarked on a last-ditch charm offensive on Tuesday, holding meetings with MPs including the ERG’s Steve Baker, who said the pair had held a “constructive and substantial conversation about the future”. Speaking just before the vote Corbyn saidMay had “treated Brexit as a matter for the Conservative party, rather than the good of the whole country”. He called the government’s efforts to steer Brexit through parliament “one of the most chaotic and extraordinary parliamentary processes” he had experienced in 35 years as an MP. The attorney general, Geoffrey Cox, warned his colleagues that if they did not accept the prime minister’s deal, they risked condemning Britain to the chaos of a no-deal Brexit. “It would be the height of irresponsibility for any legislator to contemplate with equanimity such a situation,” he said. Corbyn will come under intense pressure to throw his weight behind a second Brexit referendum if May wins on Wednesday; but his spokesman said Labour did not rule out tabling another no-confidence motion at a later stage. Labour MPs were joined by 118 Conservative rebels in voting down the prime minister’s deal, including erstwhile loyalists such as the chair of the backbench 1922 committee, Graham Brady. That was one more than the number who backed a no-confidence vote in May’s leadership of the Conservatives last month. Under party rules, the prime minister’s victory in that vote means she cannot be challenged for party leadership again within the next 12 months. 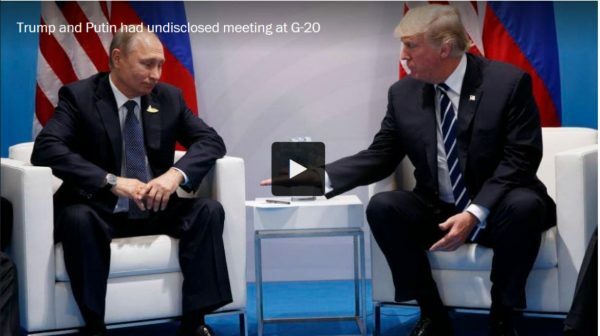 The meeting in Hamburg happened several months after The Washington Post and other news organizations revealed details about what Trump had told senior Russian officials during a meeting with Russian officials in the Oval Office. Trump disclosed classified information about a terror plot, called former FBI director James B. Comey a “nut job,” and said that firing Comey had removed “great pressure” on his relationship with Russia. Special counsel Robert S. Mueller III is thought to be in the final stages of an investigation that has focused largely on whether Trump or his associates conspired with Russia during the 2016 presidential campaign. The new details about Trump’s continued secrecy underscore the extent to which little is known about his communications with Putin since becoming president. Trump allies said the president thinks the presence of subordinates impairs his ability to establish a rapport with Putin and that his desire for secrecy may also be driven by embarrassing leaks that occurred early in his presidency. 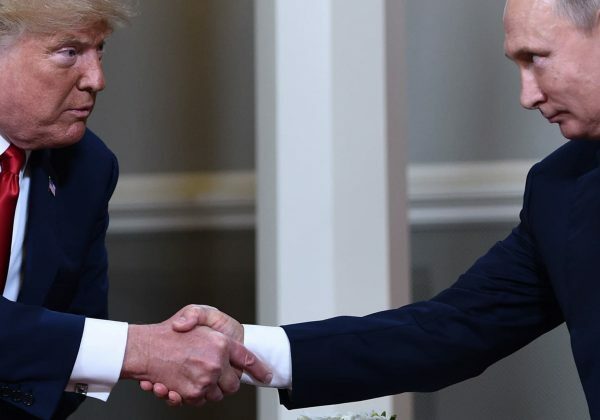 The meeting in Hamburg happened several months after The Washington Post and other news organizations revealed details about what Trump had told senior Russian officials during a meeting with Russian officials in the Oval Office. 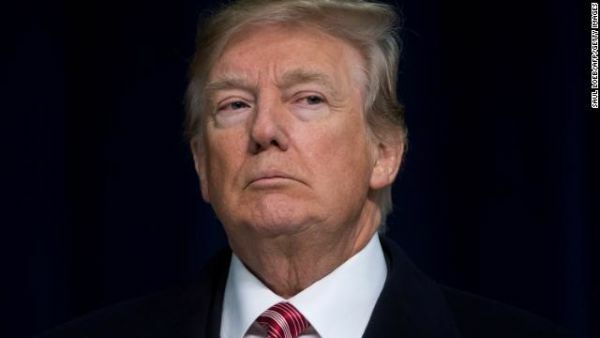 Trump disclosed classified information about a terrorism plot, called former FBI director James B. Comey a “nut job” and said that firing Comey had removed “great pressure” on his relationship with Russia. Trump also had other private conversations with Putin at meetings of global leaders outside the presence of aides. He spoke at length with Putin at a banquet at the same 2017 global conference in Hamburg, where only Putin’s interpreter was present. Trump also had a brief conversation with ­Putin at a Group of 20 summit in Buenos Aires last month. In an email, Tillerson said that he “was present for the entirety of the two presidents’ official bilateral meeting in Hamburg,” but he declined to discuss the meeting and did not respond to questions about whether Trump had instructed the interpreter to remain silent or had taken the interpreter’s notes. In a news conference afterward, Tillerson said that the Trump-Putin meeting lasted more than two hours, covered the war in Syria and other subjects, and that Trump had “pressed President ­Putin on more than one occasion regarding Russian involvement” in election interference. “President Putin denied such involvement, as I think he has in the past,” Tillerson said. During a joint news conference with Putin afterward, Trump acknowledged discussing Syria policy and other subjects but also lashed out at the media and federal investigators, and he seemed to reject the findings of U.S. intelligence agencies by saying that he was persuaded by Putin’s “powerful” denial of election interference. John Hudson, Josh Dawsey and Julie Tate contributed to this report.